Gina Messina-Dysert, Ph.D. is Dean of the School of Graduate and Professional Studies at Ursuline College and Co-founder of Feminism and Religion. Rosemary Radford Ruether, Ph.D. is Professor of Feminist Theology at Claremont Graduate University and Claremont School of Theology. "This is an exciting collection of essays from some of the best feminist voices in religion of our current era. The writers explore the profound effects that technology has on how we communicate and the myriad ways we do so globally as well as locally to probe enduring social inequalities, reshape religious conversations, inspire social justice activism, expand our sense of religious communities, breaking down restrictions of language and space, transform education, find ancestors, and explore embodiment. Rather than see us as captive to technologies’ expansions, these writers point us toward the possibilities of technologies’ positive transformations as tools of justice-making and sustaining." "For anyone interested in how feminism and religion intersect with blogging, open source, life broadcast, social media, virtual community, and activism in cyberspace, this text is a must-read. Feminist scholars and activists need to catch up with cyberfeminism or become obsolete!" 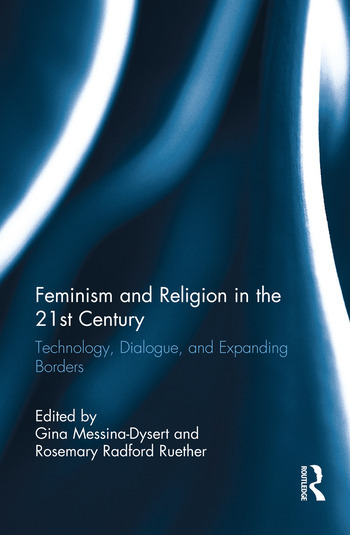 "This collection of provocative essays on feminist theology speaks to our world that is increasingly immersed in technology as a way of living. The book stands at the intersection of feminist theology and feminism lived out pedagogically to illuminate an emerging, creative, cutting edge way of being woman. The reflections span issues of social media, alternative communities, and technology. These essays provide delightful views of new and burgeoning areas of reflection and practice on what it means to do theology for women in our world today, with blogging, hashtags, and social networking."